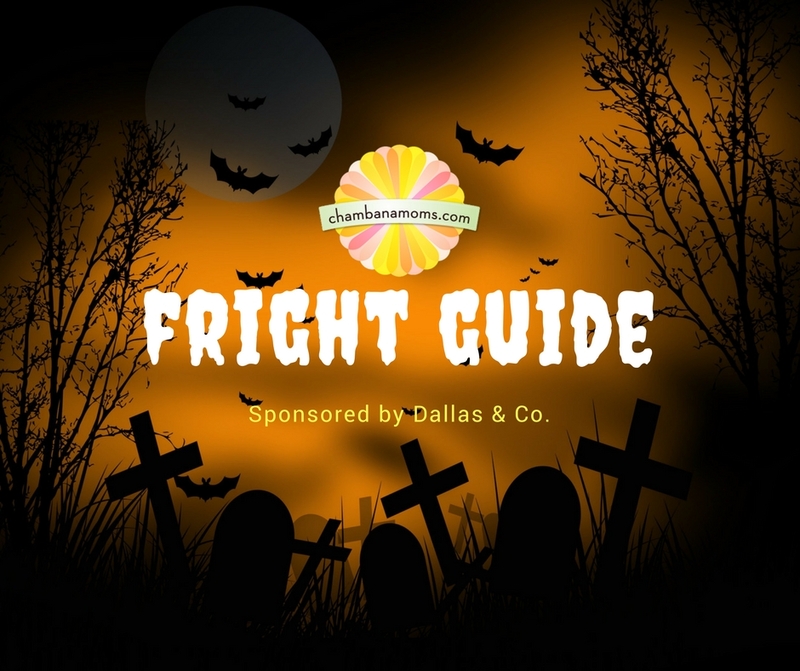 Champaign-Urbana Area Halloween Fright Guide Sponsored by Dallas & Co.
You are here: Home / Halloween / Champaign-Urbana Area Halloween Fright Guide Sponsored by Dallas & Co.
Love haunted houses and other spooky thrills? Looking to get your scream on? Our Fright Guide lists Champaign-Urbana area Halloween haunted houses, creepy experiences, zombie proms, spooky film festivals and more for adults and teens. 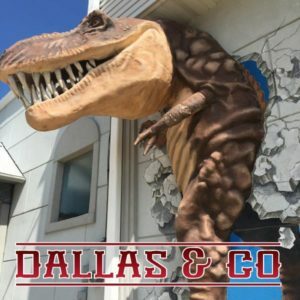 Thank you to Dallas & Co for sponsored our Champaign-Urbana Area Fright Guide. Dallas & Co is an over 42-year Champaign-Urbana Halloween tradition! Located in the heart of mid-town and close to campus with free parking, this one of a kind Halloween destination is a must see on your Halloween shopping list! Thousands of Halloween costumes & accessories for children & adults, decorations, Halloween game rentals, & more! Be sure to experience Magic Weekend (Oct 6 & 7) and the FREE spooky Haunted Room located inside the store! Open every weekend in October. Ages 8+ recommended. Times for these events will be posted on the Haunted Room Facebook Event page and the Magic Weekend Facebook Event page. Children’s costumes & accessories have been relocated to Carnival Land located in the back of the store by the fitting rooms. Happy Halloween shopping! offers an exciting and fun lineup filled with films stretching across the horror genre from parody to monster movies to psychological thrillers and more. Featuring both local filmmakers and those scattered across the country. Tickets available online or at the door. An Evening with Poe at Allerton: Listen to haunting stories and poems from Edgar Allan Poe while surrounded by the grandeur and mystery of the Allerton Mansion. Afterwards explore the Mansion and learn the history of the house and the man behind it all. Continue the experience by staying overnight! Tickets are $20 per person. Dallas & Company’s Haunted Room: It’s fun, scary and it’s free! First scare sessions opening up Oct. 6 and will continue every Saturday and Sunday through October. Be prepared to SCREAM! Recommended age is 8 and up. Anyone under 18 must be accompanied by an adult.Times are here. The Virginia Theatre:In addition to Five Nights of Hitch throughout October, the Virginia features an 80’s classic horror film where nightmares come to life. Check the website for movie dates and times. The Haunted Hideaway: This haunted house is in Georgetown (just south of Danville). Check website for schedule. 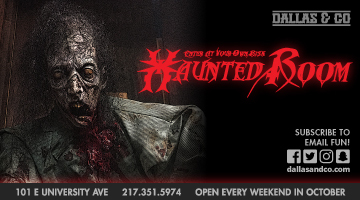 $13 for adults, $8 for 10 and under, $25 for an all night paranormal haunt. Tickets available online. CU Scared – Midway of Madness: Midway of Madness will be closed in 2018. Look for it to reopen in 2019. Zombie Prom VII at the Urbana Free Library:It’s prom season at the Library. This one will be just like a regular prom, but everything will be zombified! We’ll have punch, snacks, a costume contest, a photo booth, and a DJ. Show up in zombie costume and we will help with your makeup. Start planning your costume now and get ready for some zombie-fun! Heritage Haunted House: Come climb the TOWER OF TERROR up on the abandoned 3rd floor of the old Homer school. You may go up, but you might not come down. Cost is 5 dollars. Cash or check accepted. Ages 10 and Up recommended. Saturday, October 20, 8:00 – 11:00 p.m., at Heritage Elementary/Jr. High in Homer. This chilling haunted house is a student fundraiser for Heritage High School Publications. Did we miss one of your favorite attractions? Let us know in the comments below. Happy Halloween!